You just had a long holiday weekend; now what? The best flying weather has arrived, temperatures have cooled, and humidity is waning. What’s a pilot to do fresh off a Labor Day Weekend? 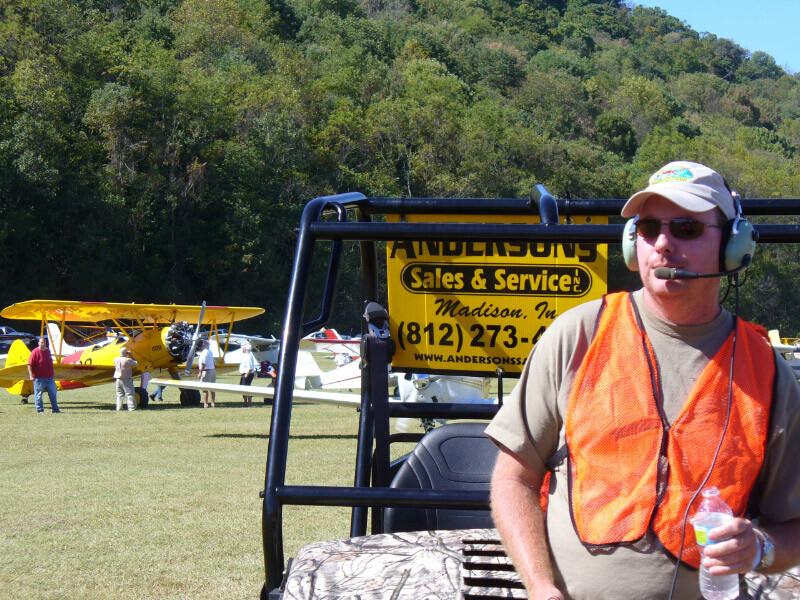 Our suggestion, plan your trip to the 15th Annual Wood, Fabric, & Tailwheels Fly-In. It’s less than three weeks away. Whadayasay? Will you be here? 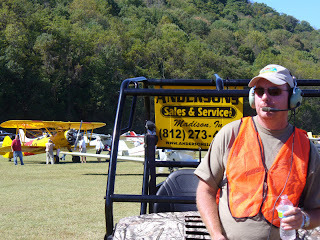 For many people east of the Rockies, the Wood, Fabric, & Tailwheels Fly-In is the last big hurrah of the season. We hope you can make it. If you’re planning to attend, there are a few things to keep in mind. The Wood, Fabric, & Tailwheels Fly-In has grown from a first year attendance of 28 planes to sometimes topping out at well over 400 aircraft. Hosting an event of such size takes a great deal of effort and a considerable outlay of cash. Due to these two things, the number of volunteers we need to run smoothly is over 100. And, as far as expenditures go, the year we were rained out we spent tens of thousands of dollars to prepare. As you can imagine, this can all become a real handful to deal with. Therefore, many years ago, we started charging a small amount for every person to attend. This was and still is for covering the costs of the event. But to help ease the pain, for many years we also threw in a free T-shirt. Additionally, some time ago we began to take on sponsors for the event. As the event grew, so did the number of sponsors. In our efforts to promote them without turning the food tent into the Ford Pavilion, we put their names on the back of the shirts. Today though, with the flagging economy and current political landscape, aviation has taken it on the chin, sponsorships are down, and expenses are up. What to do? This year we have made several changes that will make things easier on our end (please God let it be so) and we are changing the free t-shirt policy. When it comes to making things easier on us, there will be a single food vendor all weekend who will be handling everything from purchase to serving. This frees up a great deal of our time. When it comes to the t-shirts, since in years past we occasionally had several handfuls of shirts left over, we are going to cut down the run in an effort to cut expenses. This means that the free t-shirts will be limited to the first 200 pilots purchasing tickets online or at the event. An early purchase or arrival is your friend. I would also like to take this moment to point out two of our long time sponsors, Poly-Fiber/Randolph, and Signature Engines. Both of these companies continue to fully support our efforts and their ability to do so speaks well of their customer loyalty and business practices. They are both outstanding companies that we are very proud to have on board. Oh yeah, there is this one other little thing that has changed. The primary arrival point that has been used in years past to guide you into the pattern has changed. It is still the same location but it will appear different. The two core structures along with the large building that connected them have been demolished. Today the old powerplant is gone and the area is mostly open space with large single floor steel buildings scattered around. 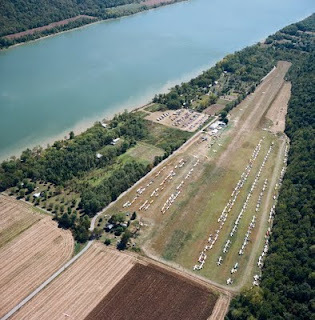 Don’t make the mistake of flying to the powerplant on the Kentucky side of the river because it is the only one you see. Be sure to check out our arrival procedures which are online and you will not have any problems. And about those 100 plus people required to put this thing on, we are in big need of aircraft parking and meet and greet volunteers. If you have participated in parking tailwheel aicraft in the past or have knowledge of the airport, please let us know if you are up for it again this year.